The Harley-Davidson Street Glide has been steadily growing on my over the last few months and it's now woven itself into the fabric of my life, making itself a true member of the family. Like all good family members though, it does have some frustating little problems. 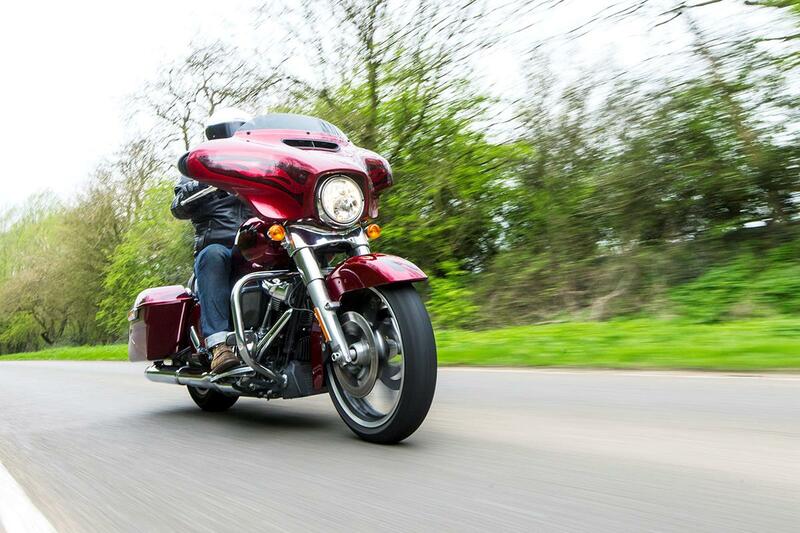 This might be obvious, or it might not, but parking the Harley-Davidson Street Glide can be a real pain at times. It’s very long, so sticks out of the end of motorcycle bays, which always leaves me worried that someone will clip the front wheel. It’s also very wide, so it needs a lot of room to get it in and out, and it takes up the space of two bikes. 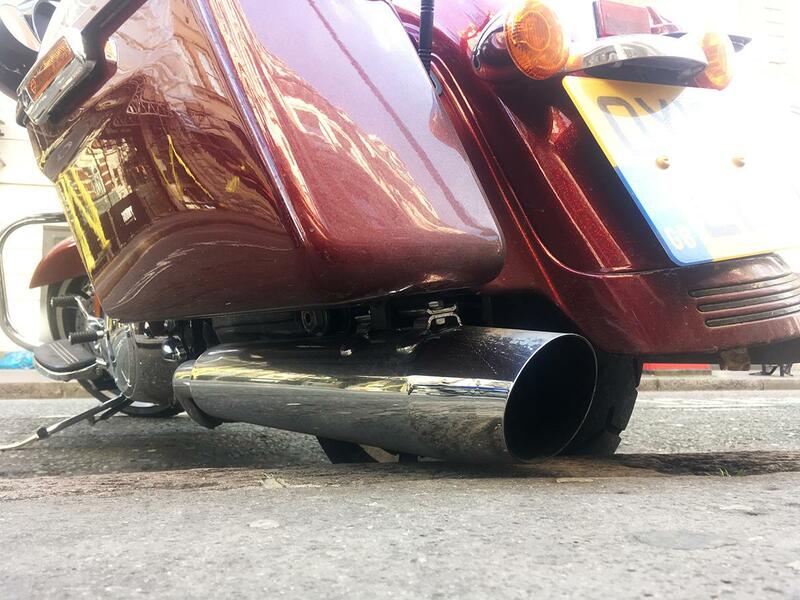 Finally it’s very low, so the exhausts strike curbs when on the side stand meaning you can’t always push it all the way into a bay, leaving it to stick out even more. The batwing fairing on the Glide does a pretty good job of keeping the wind, rain and dead flies off your upper half, but only your upper half. Your lower legs are completely unprotected and the footboard position means your shins are presented to the worst the weather can throw at you. That and their proximity to the ground (and road spray) means that your lower legs don't have a get a soaking when it rains. The flip side of this is that when it's wet, the shuddering air-cooled lump chucks out so much heat you're never that cold. Then it dries up and you boil in the bag. I do love the cruise control function on the Street Glide but it can be frustrating as you’re often turning it off only seconds after you turned it on. No fault of the Glide of course, you can blame other road users, but coming off cruise can be a little jerky. 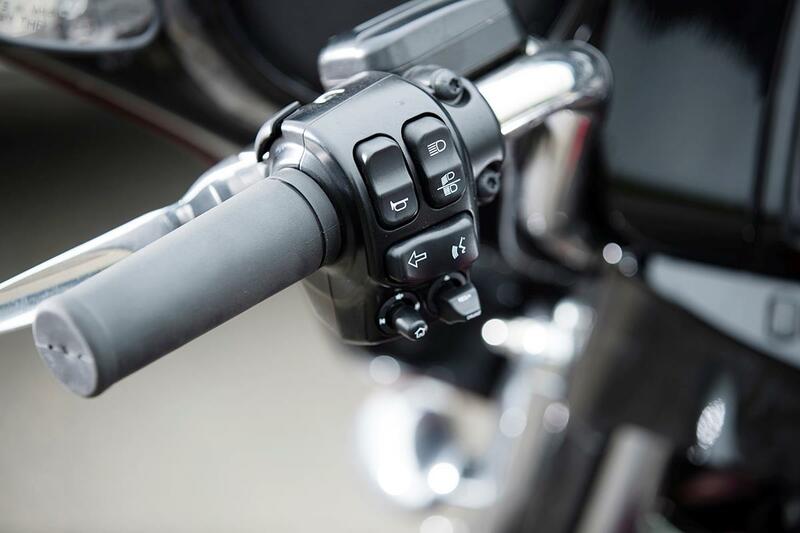 The throttle returns back to the stop when cruise control is on, so if you’re slowing gently you have to guess where the throttle should be and hold it there as you switch it off for a smooth transition. It also switches off if you head over 90mph, which is too fast for UK roads, but perfectly legal in places on the continent. I’ve ridden plenty of bikes with cruise control and this is the first one I’ve come across with this ‘safety feature’.